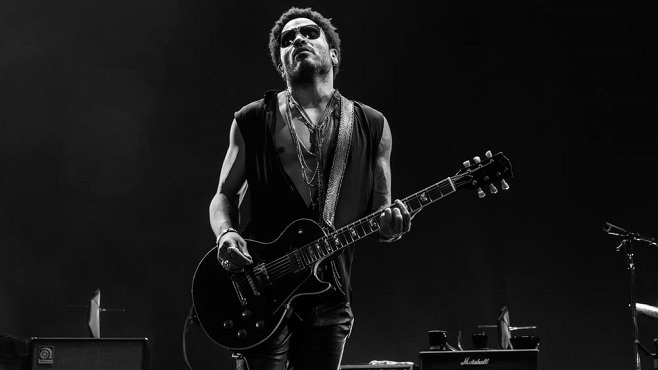 Leonard Albert "Lenny" Kravitz (born May 26, 1964) is an American singer, songwriter, actor and record producer, whose "retro" style incorporates elements of rock, blues, soul, R&B, funk, jazz, reggae, hard rock, psychedelic, pop, folk, and ballads. In addition to singing lead and backing vocals, Kravitz often plays all of the instruments himself when recording. He won the Grammy Award for Best Male Rock Vocal Performance four years in a row from 1999 to 2002, breaking the record for most wins in that category as well as setting the record for most consecutive wins in one category by a male. He has been nominated for and won other awards, including American Music Awards, MTV Video Music Awards, Radio Music Awards, BRIT Awards, and Blockbuster Entertainment Awards. On December 1, 2011, Kravitz was made an Officer of the Ordre des Arts et des Lettres. He played Cinna in the Hunger Games film series. 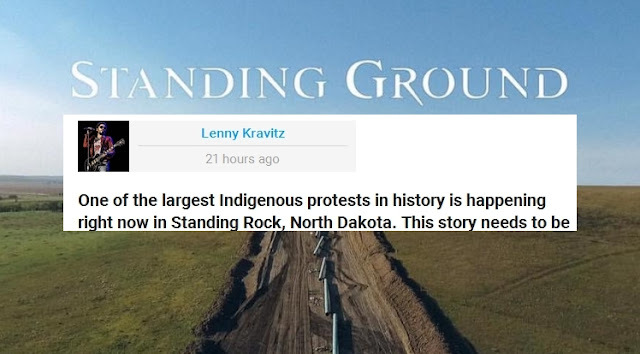 Responses to "Lenny Kravitz Stands with Standing Rock Sioux and Water Protectors"
Is he going to join the front line? Thank you Lenny and all Water Protectors!